Greenfield, Wisconsin lovely area with many fun things to do and to see. If you are in the area to see the Boerner Botanical Gardens or checking out the Milwaukee Pierhead light, a toothache is sure to damper your spirits. Toothaches that come on while out of town may be tempting to ignore, but it is vital that you seek treatment right away. Fortunately, there are many dental specialists in the area to help you during this time. Emergencydentistsusa.com is the place to go when you need to find a dentist fast. 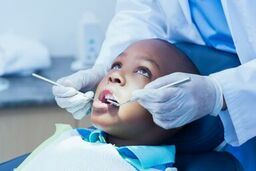 We have put together a comprehensive list of dentists and specialist in the Greenfield, WI, area for you. All that is left for you to do is the choose the dentists, and give them a call. If you are in a hurry, call our toll-free dentist finder hotline and we can give you a hand. Our trained team members are there to help you through the process of finding a dentist or specialist during your dental emergency. We go through the available options and you select which dentist you wish to visit. We can even set up the appointment for you. We suggest you plan to arrive 15 minutes early to the appointment to fill out any paperwork you might be required to do. Bring your picture ID, insurance card, and any copayment along with you to the appointment. If you are visiting Greenfield, WI, you might be concerned about your choices when it comes to dentists but you options are not limited. There are many dentists and specialists available such as oral surgeons, cosmetic dentists, pediatric specialists, and more. Before scheduling with a specialist, consult with your general dentist to determine the extent of your dental emergency. If they feel you need to see a specialist, they will refer you to one. Description: Advanced Dental Treatment makes every effort to provide the highest quality services possible. The office offers many services such as preventative, cosmetic, crowns, implants, and much more. They provide an accurate treatment plan and estimate. The office accepts a wide range of payment methods and insurance plans. Financing is available for qualified individuals. Description: Midwest Dental of Greenfield is accepting new patients. They offer a wide range of general dental services, cosmetic dentistry, and restorative dentistry for adults and children. The office accepts most insurance and has specials for new patients. Doctors: Dr. Igor Sulim, D.D.S. Description: DentalWorks Greenfield provides high quality care in a friendly manner. There are many services offered such as cleanings, veneers, bridges, crowns, and muchmore. This office accepts 32 insurance plans. Financing is available. Tooth pain that comes on and lasts longer than an hour is a sure sign you need to seek emergency treatment. If you catch the problem early, you may be able to prevent further complications down the road. If the pain is a result of an accident, seek care at the nearest ER to rule out any serious injuries. Before visiting a new dentist, take the time to check out their license and credentials. You can do this by visiting the Wisconsin Dental Association website and performing a search of the dentist’s name. You may also choose to view their credentials at your first visit, which can be done by simply asking the receptionist.